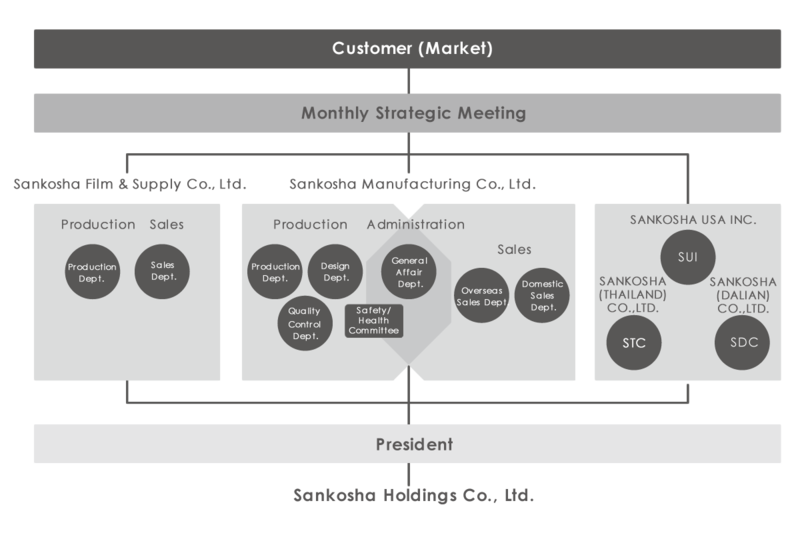 Culture | Sankosha Co., Ltd.
the top of our company organization chart. This is followed by sales, production and administration departments. the organization and its personnel that make its philosophy practical.